Abigail Lenter Sescon is able to give her complete attention to pursuing her Master of Business Administration, thanks to the support of the Cardwell Family Graduate Fellows Program in Business. Abigail currently works as a Graduate Assistant with the Professional Development and Outreach Team at the Graduate School and is a member of the MBA Association. Her on-campus employment and participation in the MBA Association are providing her with leadership and communication skills. “Contributions toward scholarships are important because they allow beneficiaries like me to pursue further education without having to worry about finances. As an international student from the Philippines, there are a lot of challenges in pursuing a degree here in the US, such as adjusting to a new environment and homesickness. Therefore, having to worry less about financing my graduate studies is a significant relief.” Abigail plans to continue gaining experience in the international banking industry with the dream of becoming part of the World Bank Organization. 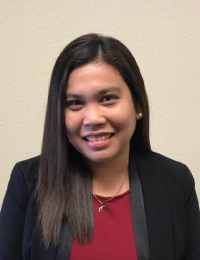 She hopes that her experiences will one day enable her to return home to the Philippines and pay it forward – by teaching and establishing her own scholarship fund to help students who are financially challenged in pursuing their dreams. When Edwin Ramirez-Homs graduated from Mission Early College High School, he received both his diploma and an associate’s degree. This allowed him to enter UTEP as a junior, and to major in economics and financial analysis in the College of Business Administration. He received The Michael and Caprice Brochu Scholarship which has served as a terrific motivator for Edwin to do his best. “The scholarship gave me the opportunity to do so many things such as studying abroad and participating in the Law School Preparation Institute at UTEP. 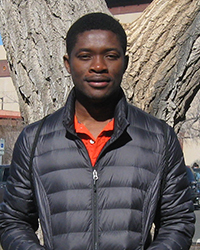 Edwin studied in Vigo, Spain through the International Student Exchange Program supported by UTEP. “I learned how inherently good people are all over the world.” Currently, Edwin is applying to a number of law schools and preparing for a very bright future. 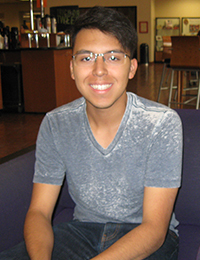 “I am truly grateful and hope that one day I can inspire others to further their education at UTEP – the University I’ve come to know as home.” The Alumni Association Endowed Scholarship has served as a terrific motivator for Nicholas Alarcon to do his best. Nicholas says that in addition to the scholarship, the UTEP College of Business Administration is providing him with high impact practices to succeed both academically and professionally. Nicholas is a member of the National Society for Leadership and Success which helps students discover and achieve their goals through community service projects, career building and professional networking activities. 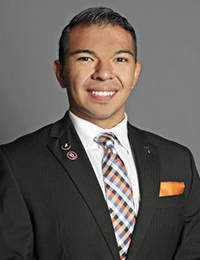 He plans to pursue a master’s degree in business administration and looks forward to being a role model to UTEP students by encouraging them to have a powerful and positive way of thinking. 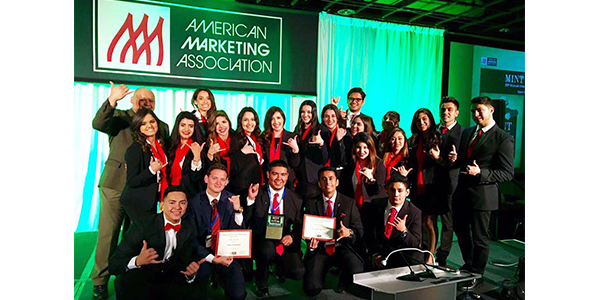 The UTEP American Marketing Association Chapter traveled to New Orleans to participate in the 38th International Collegiate Conference organized by the American Marketing Association (AMA). Twenty-one undergraduate students from the College of Business Administration learned about career options, cutting-edge marketing techniques and sales practices from experts in the field. The UTEP AMA Chapter competed in the Exhibit competition where each chapter was challenged to incorporate the theme of the conference and design a t-shirt. UTEP placed 3rd among 70 other competing groups. UTEP students also joined the SABRE Business Simulation event where competitors were responsible for developing a strategy to obtain the greatest market share in the industry. The performance of UTEP’s AMA Chapter placed them as one of the top five chapters in the nation for the 2015-2016 academic year. UTEP students had the opportunity to network with prominent business professionals such as featured key note speakers Monica Skipper, VP of Brand Experience Marketing for FedEx services and Peter Horst, Chief Marketing Officer for the Hershey Company. Metallurgical, Materials and Biomedical Engineering major, Clarissa Aguirre, believes in the importance of student engagement. 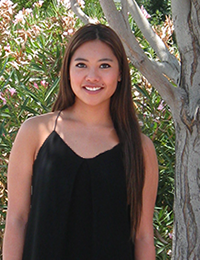 Clarissa is the scholarship recipient of the Alpha Phi Omega Social Fraternity Endowed Fund. 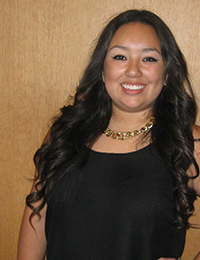 She stays very involved in her campus community through student organizations. With the support of her scholarship, she has been able to thrive with student employment and organizations. She is a member of the Society of Women Engineers (SWE), Society of Hispanic Professional Engineers (SHPE), the Mexican American Engineers and Scientists (MAES), and is the secretary for Material Advantage and the American Foundry Society. She is a student employee for the College of Engineering K-12 Outreach Program and College of Engineering Metallurgical, Materials and Biomedical Engineering Department. "I am thankful to have been given this honor of the Alpha Phi Omega Social Fraternity Endowed Fund scholarship award. 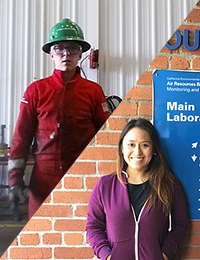 As part of Metallurgical Engineering Department, I was given a sense of motivation to continue being an active student and advocate for students and women in engineering." Financial contributions to the Engineering Education and Leadership Program (E-Lead) are providing high-impact educational practices for students like Celena Arreola and Isaiah Webb. Celena and Isaiah are able to commit more time to professional development opportunities without additional financial worry. Over the summer both interned with renowned companies and gained valuable skills that continue to enrich their academic education. 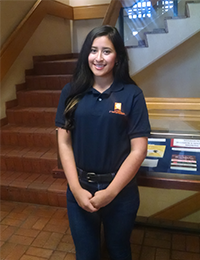 E-Lead major, Celena, interned with the Environmental Protection Agency-UTEP Air Quality where she attended an air quality training in Sacramento, CA, presented by distinguished pollution scientists. Upon her return to El Paso, the Office of Sustainability and Resilience selected her for the second time to assist in environmental projects such as green roof infrastructure, bike lanes, adopt-a-lot grant work and energy code training. "These experiences have given me the chance to develop professionally and I appreciate all that this University has offered me,” Celena says. 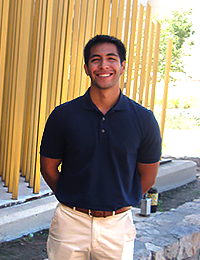 Isaiah interned at Halliburton, one of the world’s largest energy providers. During his time with the company he collaborated with another intern making observations in the Production Enhancement and Fracturing Department. Isaiah learned first-hand how equipment is maintained in the shop and on the field. As a capstone project, Isaiah and his cohort presented their results to Halliburton’s staff members. “I am extremely grateful to be part of E-Lead and to have been given the opportunity to participate in this incredible experience,” Isaiah says. Ricardo Vela wants to improve the quality of life for those in need of prosthetics. Growing-up, he witnessed the emotional distress and physical challenges his grandfather went through after losing his leg due to diabetes. Moved by this experience, Ricardo is now pursuing a bachelor’s degree in mechanical engineering and a minor in biomedical engineering with the support of the Bob and Diane Malone Scholarship. 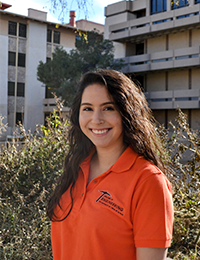 Graduate student Brittany Diaz says she loves the idea of helping people reach their fullest potential, and says that the UTEP Occupational Therapy Program is fully preparing her to do that across a range of patient settings and scenarios. Brittany has received scholarship support as an undergraduate and again as a graduate student. Celeste Orozco says that she discovered the discipline of Speech-Language Pathology (SLP) when her younger brother was being observed for autism. The Presidential Scholarship recipient is currently a year ahead in her studies, and should complete the condensed program in five years. After receiving her Bachelor’s in Multidisciplinary Studies, she will then continue-on to complete her Master's in SLP. 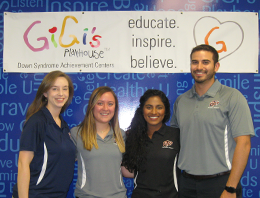 The UTEP Doctor of Physical Therapy (DPT) Program has recently partnered with Gigi’s Playhouse, one of several organizations that the DPT Program collaborates with in the El Paso community. Each DPT student completes a minimum of 20-service-learning hours at their assigned location over the first two semesters of the DPT curriculum. Gigi’s Playhouse is an educational and therapeutic center that provides free programs to individuals with Down syndrome and their families. Here DPT students gain hands-on, career-related experience interacting with clients from various backgrounds, while providing assistance to Gigi’s Playhouse with their services. DPT student Lauren Cruz says that DPT students are involved with the Special Olympics and work with young children on things such as jumping and hand-eye coordination. The experience has taught Cruz how to modify therapy techniques and adapt to the children’s abilities. Cohort Reba Joseph explains, “I was unaware of the need for physical therapy presented by the population of individuals with Down syndrome. Volunteering here has opened my eyes to the broad our scope of our work. The experience has helped me to develop interpersonal skills for a variety of different age groups.” The UTEP DPT Program’s partnership with Gigi’s Playhouse is just one example of the win-win situation created by service-learning activities. DPT students experience invaluable learning outside of the classroom, and contribute over 720 hours of service annually to the El Paso region. 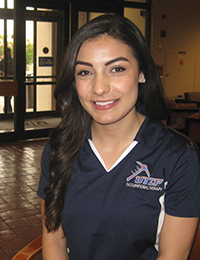 Evelyn Villarreal credits the Scholarship for Disadvantaged Students for helping her afford the costs of graduate school, and continue her research with her mentor, Celia Pechak, Ph.D., associate professor in UTEP’s Doctor of Physical Therapy (DPT) Program. Her interest in the DPT Program was sparked when she saw the need for Spanish-speaking healthcare providers. 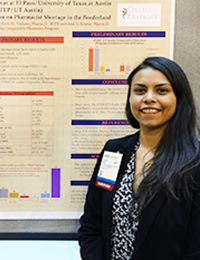 This interest also contributed to her undergraduate research titled “Preparing Doctor of Physical Therapy students to better serve a Hispanic majority community by integrating Spanish language training.” Evelyn was one of 60 students from across the U.S. selected to present her research at the 21st Annual Posters on the Hill event in Washington, D.C. The UTEP College of Health Sciences celebrated the opening of its new Human Anatomy Teaching Laboratory. Students from the College of Health Sciences and the College of Science will now have access to this enhanced, educational resource. The state-of-the-art facility will give students the chance to learn anatomy through the dissection of cadavers which is essential to their future careers explains Mark Caulkins, M.D., DPT, and Director of lab. Students in the Doctor of Physical Therapy Program and Master of Occupational Therapy Program, as well as graduate students in the Biomedical Engineering Program, will use the facility. Additionally students in the Clinical Laboratory Sciences Program and Speech-Language Pathology Program will be visiting the teaching laboratory to study the dissected cadavers, and continuing education courses for community physical therapists and occupational therapists will be available. The facility is nearly twice as large as the old lab and includes all new dissection tables, and greater storage space. It also features three high-definition video cameras, four large plasma screens, white boards and wireless internet. The cameras and plasma screens will allow the faculty to display anatomic structures to the entire class as well as present PowerPoint Lectures, and teaching videos. Caulkins explains that health care professionals like physical and occupational therapists need a comprehensive knowledge of anatomy to be able to diagnose and treat their patients. “Everyone involved should be very proud of the new facility. Ultimately our community will benefit by having more optimally prepared graduates serving them,” Caulkins says. 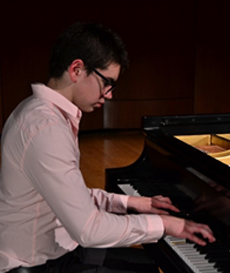 His interests include jazz, music production, recording and writing. 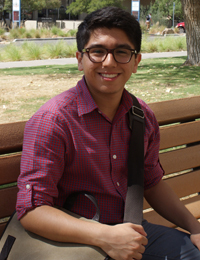 Carlos has joined various UTEP music ensembles and has participated in recitals and concerts throughout the community. He currently gives private music lessons to aspiring musicians and collaborates with Kids Excel El Paso (KEEP) to help elementary school children gain discipline and self-confidence through music. 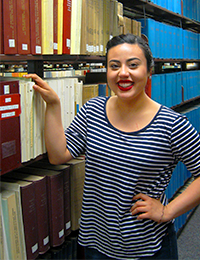 English major and secondary education minor, Lauren Peña is pursuing her dream of becoming an English teacher with the financial help from the Josephine Clardy Fox Scholarship. “My goal is to motivate future generations and to help them find their voice through reading and writing,” Lauren says. 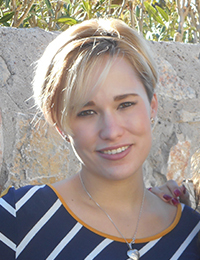 Working as a teaching assistant for a UTEP introduction to theatre course is helping Laura gain important teaching, writing and mentoring skills. Lauren is also an actor with the UTEP Dinner Theatre, where she was cast in the leading role of Carrie White in the production of "Carrie: The Musical." After graduation, Lauren will pursue a professional career as a high school teacher. She says, “My goal is to encourage students to open their hearts to literature and I want to provide them with the tools to express themselves effectively in writing." As for her long-term goals, Lauren says she eventually plans to apply to graduate school and would like to someday return to UTEP and teach in the English Department. 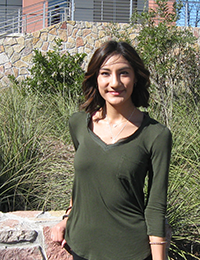 Lillian says the UTEP College of Liberal Arts has been a family-like learning environment where her professors are always willing to support the success of the students. Her scholarship allows her to stay on top of her studies while pursuing personal and professional development. 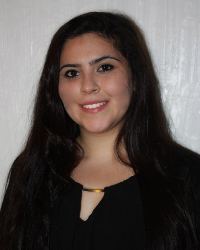 She looks forward to participating in the Law School Preparation Institute (LSPI) and gaining an internship with Univision or Telemundo where she can get hands-on experience in the journalism field. Presidential Scholarship recipient and stage management major, Mayra Rodarte, is part of the Liberal Arts Honors Program (LAHP) under the direction of Dr. Michael Topp. The program offers challenging upper level courses for students and promotes collaboration among classmates and mentors. “LAHP has provided me with amazing opportunities to meet and learn from professionals across multiple fields like Gary Shteyngart, one of my favorite American writers,” she says. 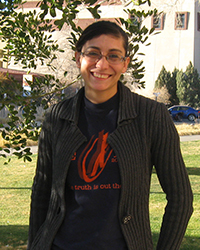 During her time at UTEP, Mayra has concentrated on participating in several professional development activities. She was the stage manager for the play King Lear at the UTEP Wise Family Theatre and volunteers with the National Society of Leadership and Success. Mayra recently attended a practicum in advocacy at the United Nations Headquarters in New York City with the Women’s International League of Peace and Freedom. She also works as an undergraduate research assistant with the Campus Office for Undergraduate Research Initiatives and is developing a computer program for stage managers. 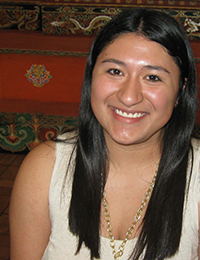 Mayra plans to continue her education and pursue a master’s degree in public administration. Multimedia journalism major, Renee Malooly has a passion for writing and a love of art. 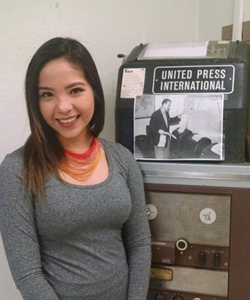 The aspiring journalist likes to combine the two areas in her articles featured in the UTEP Borderzine digital publishing platform, where she has been published seven times. Her story topics have included a profile on folklorico dance pioneer, Rosa Guerrero, and a feature on the Rembrandt exhibit shown at the El Paso Museum of Art. 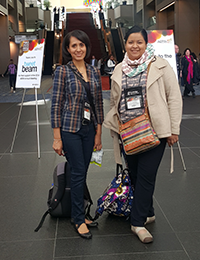 Doctoral students, Angelica Monarrez and Claudia Saldaña, traveled to Washington, D.C. to attend the American Educational Research Association (AERA) annual conference, where they had the opportunity to present their research to an international group of distinguished professionals and researchers. “Attending conferences like this one gives me the opportunity to enrich my studies by learning from other research topics and methodologies being conducted in my area,” says Angélica. 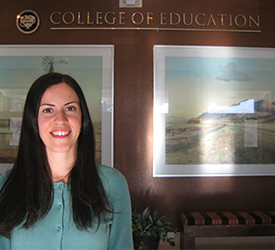 She is pursuing a doctoral degree in Teaching Learning and Culture under the STEM program at the UTEP College of Education. Angélica presented the data results from her dissertation titled Teachers' Challenges in Implementing Cognitively Demanding Tasks in Middle School Mathematics Classrooms. 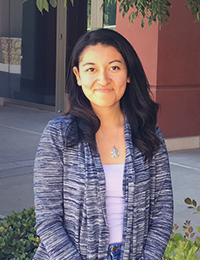 Angelica’s goal is to contribute to the improvement of techniques used to teach mathematics; especially to minorities who speak English as their second language. Claudia presented the results of her research project titled Building a Pathway to Engineering: Identities and Discourses of Mexican and Mexican-Origin College Student. Her research included data she collected and analyzed to understand how Latina/Latino students constructed their decision to study engineering, and how their family, activities and mentors influenced their decision. “The diversity of the presentations at the conference enhanced my visualization of theoretical frameworks and analysis skills for my own research,” says Claudia. Claudia is pursuing a doctoral degree in Teaching Learning and Culture under the program of Bilingual Education, Literary/Biliteracy and Sociocultural Studies (BELSS). 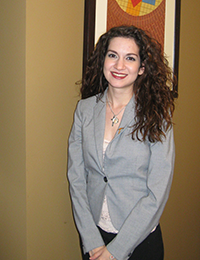 Luciene arrived from Brazil to pursue graduate school at UTEP. She first received her master’s in Education and has continued to pursue a doctoral degree in Education with a concentration and literacy and bi-literacy with the goal of becoming a professor in an institution where she can help student minorities. 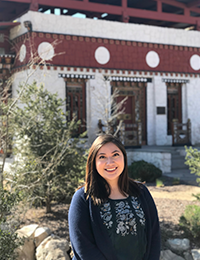 The Woman’s Auxiliary Fellowship has allowed Luciene to dedicate her time to fulfill the demanding requirements of being a doctoral student at the UTEP College of Education. 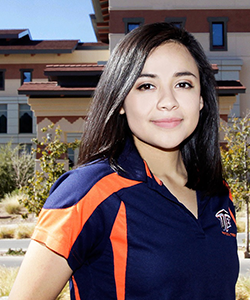 The primary focus of her study is first generation college students, as many UTEP students are. Luciene hopes that her dissertation will make a significant contribution to academia and impact students’ lives. In addition to advancing her research, this fellowship has allowed her to participate in important curriculum building activities such as presenting in national and international conferences, and participating as a conference proposal reviewer after being recruited by the Literacy Research Association (LRA). This year, she will have the opportunity to present the results of her dissertation to educators from all around the world at the American Educational Research Association (AERA), an international conference in Washington, D.C.
Arturo Ramirez once dreamed of becoming a civil engineer, but all that changed when he took an introductory class in geology at UTEP and found himself immersed in field work that included the exploration of rock formations and geologic processes. He changed his major to economic geology with a focus in mineral exploration and earned his bachelor’s degree in 2013. 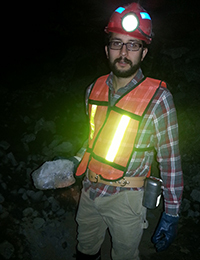 Now a graduate student and the incoming president of the UTEP Chapter of the Society of Economic Geologists, Arturo is a scholarship recipient of the Reese Rowling Endowed Fund for Geology, maintaining a 4.0 GPA. He works with UTEP Geology Professor Philip Goodell on the geochemical, geophysical and remote sensing methods of mineral exploration in the Sierra Madre Occidental mountain range in southwest Chihuahua, Mexico. Desmond Koomson is working on his master’s degree in statistics and anticipates receiving his degree this summer. Currently he is working in collaboration with the UTEP Biological Sciences Department, with respects to sample size estimation in the presence of gene association. His thesis has applications in other fields such as behavioral sciences and defense sciences where association studies are very common and important. 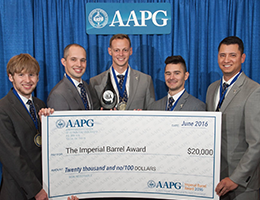 The UTEP Department of Geological Sciences Imperial Barrel Award (IBA) Team, comprised of five graduate students Patrick Rea, Eric Bergersen, Alan Vennemann, Andy Anderson, and Andre Llanos took first place in the American Association of Petroleum Geologists (AAPG) Worldwide Imperial Barrel Competition in Calgary, AB, Canada and brought home a $20,000 prize. Each team delivered their results in a 25-minute presentation to a panel of industry experts where they were judged on technical quality, clarity, and originality of presentation, which also gave members the opportunity to impress potential employers in the audience. UTEP geology teams have been competing since 2007 and have won at the regional competition five times, however this is the first time the University has achieved a first place win in the international competition. oel Quinones received the David and Guille Lindau Endowed Scholarship and says, “I knew this scholarship would help me spend more time on my studies and help me reach my dream of becoming a dentist.” After completing his bachelor’s degree in Cellular and Molecular Biochemistry, he plans to spend the next year studying for his DAT (Dental Admission Test), and applying to dentistry schools. Born in Mexico, Joel and his family moved to the United States when he was ten-years-old. “My dad was a dentist in Durango, Mexico, and he gave up his clinic in order for me to have a better future away from corruption and violence in Mexico.” Joel is a member of the Society for Advancement of Hispanics/Chicanos and Native Americans in Science, or SACNAS, and in an effort to give back, Joel works as a high school tutor and mentors students toward college. “I’m a firm believer that it is important for alumni to give back to scholarships – I hope to do the same one day. I’ve met wonderful peers here at UTEP, some who do not have the resources to further pursue their academic dreams,” he says. The endowment has also provided Dr. Lopez with the opportunity to participate in a Science Foundation program which introduced him to a new teaching mythology used in chemistry and math. Thanks to that program, he created a series of UTEP conferences that incorporate those same teaching concepts. For three years, his conferences have been benefiting UTEP and high school students in the region by providing them the training they need to excel as physicists at the UTEP College of Science. He often invites guest speakers and visiting faculty which provide an invaluable source of knowledge to students. First year students enrolled in Chemistry 1305 and 1306 have the chance to gain a deeper understanding of the coursework thanks to the Peer Led Team Learning Program. The program was initiated in 2000 by Dr. James Becvar. Since its inception the peer led program has had successful results in dramatically increasing the passing rate along with the number of chemistry majors at UTEP. Academic enrichment activities such as attending national conferences to present research findings are helping students create lifelong networking partnerships that are not only creating internships but career opportunities and partnerships for The University of Texas at El Paso. Mary Mackay has a master’s degree in education and is currently working on a master’s degree in mathematics. Recently Mary, along with other UTEP graduate students, traveled to Albuquerque, NM to meet with some of the vice presidents and researchers at Sandia National Laboratories. She explained, “Both groups discussed our current research projects to find an overlap. I was invited to apply to one of their internships. Our visit also created a partnership between UTEP and Sandia.” While there Mary met with Dr. Carter Edwards who is a core developer of Kokkos, a parallel programming model in C++ which Mary and other students at UTEP could potentially use in computational science courses. This meeting helped open a communication channel with UTEP professors who would like to work with Kokkos and the developers at Sandia. Biological sciences major, Valeria Quezada, anticipates graduating this May, and has plans to attend dental school after graduation. Valeria explains that her biomedical concentration coursework has prepared her for the dental school curriculum. 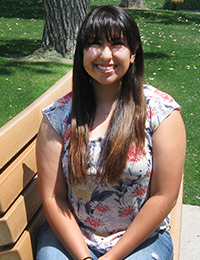 A recipient of The Presidential Scholarship, Valeria says that the financial support has motivated her to maintain a competitive GPA and provides her with more time to participate in student organizations that are helping to build her resume. Valeria is currently the President of the UTEP Pre-dental Society, a member of the University Honors Program, Alpha Xi Delta, and last spring she traveled to Spain and Morocco for two weeks with the Global Opportunities Student Enrichment Experience, (GO SEE) program. “The exposure to volunteering abroad increased my interest in providing services in a developing country. 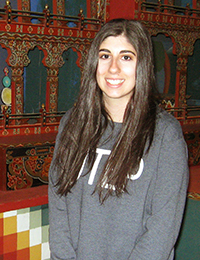 I asked myself how I could combine my passion of traveling, learning about other cultures, and dentistry while helping others.” She explains that her goal is to become a dentist and provide services to underrepresented populations, and she also wants to one day volunteer in an economically developing nation to help improve the oral health of those who are truly in need. The impact of the School of Nursing on the surrounding community and its legacy of healing continues with each generation of UTEP graduates. More recently Eileen Boureslan received her Bachelor of Science degree in nursing in 2015 and was pleased to be hired by the Hospitals of Providence Memorial Campus just a month after graduating. Eileen was hired to work in the NICU, an area of nursing that she describes as one of her “top preferences.” Eileen says that she feels UTEP’s School of Nursing is “the best” because it prepares students with a variety of real-life scenarios that they may face in a hospital setting. These practical applications presented in UTEP’s SimLab allow students to be better prepared in a hospital setting and are proving to contribute to the success of our graduates. Pre-nursing student, Idaly Diaz, says that having someone believe in her education was an incentive for her to work hard and to one day become a nurse practitioner to provide high quality health care to those in need. “I really like helping people and want to play a role in helping improve lives’,” says Idaly, a Davidson Family Charitable Foundation scholarship recipient. 2016 marks the School of Nursing's 40th anniversary, and currently the school is proud to boast over 4,500 alumni. 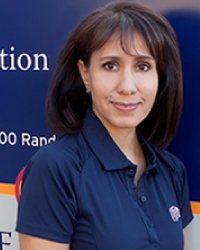 Additionally, if you have been to a local hospital or a doctor’s office in El Paso, it is likely that you have been helped by a UTEP graduate. 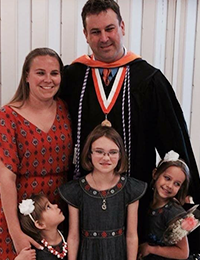 More than 60 percent of El Paso nurses have earned their degree from UTEP and are making an impact in the community. 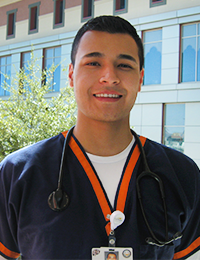 UTEP alum Kenneth “Trey” Stice received his Bachelor of Science in nursing in 2012. 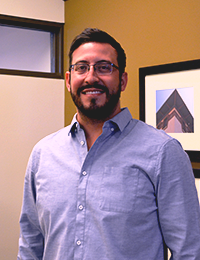 Trey presently keeps a busy schedule as an adjunct clinical professor in the graduate nursing systems management program at UTEP, while also working as the unit director in the neonatal intensive care unit (NICU) at the Hospitals of Providence for both the Sierra Campus and the Children’s Hospital. Additionally, Trey has returned to UTEP as a graduate student and is working on his MBA. Pre-Pharmacy major and scholarship recipient, Alejandro Urueta believes in the importance of being involved in the UTEP campus community. 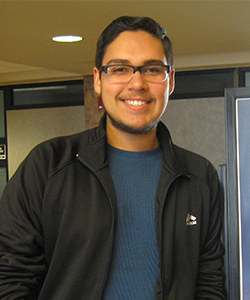 Alejandro is currently a peer mentor for UTEP Pre-Pharmacy courses. 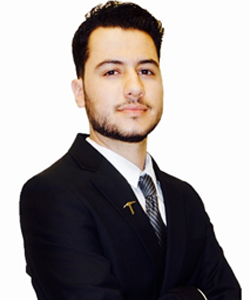 He is also a member of Lambda Chi Alpha, and is treasurer for the UTEP Pre-Pharmacy Organization (PPO). 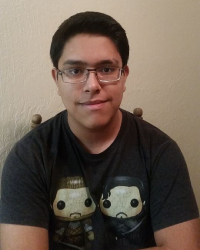 “The student leadership roles that I have had the opportunity to serve in have helped me develop the communication and organizational skills needed for the peer mentor position,” Alejandro says. A peer mentor position requires that applicants submit a resume and have at least 3.0 or better GPA. 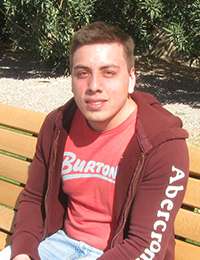 Alejandro will enroll in the UTEP School of Pharmacy by the fall semester and is on track to be in its first cohort. 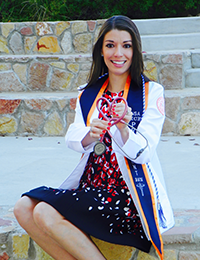 Prior to UTEP announcing the soon-to-be-established School of Pharmacy, Belding-de Wetter Memorial Scholarship recipient and pharmacy student Jennifer Navar researched the impact that the UTEP Pharmacy Program has had on the longstanding shortage of pharmacists in the El Paso area. Under the guidance of her research mentor, Dr. Celeste M. Vinluan, Jennifer presented her findings at the ASHP Midyear Clinical Meeting in New Orleans, LA. She found that despite El Paso’s ranking as the sixth largest city in the state of Texas with a population of 833,487, the amount of pharmacists in the region continues to be disproportionate to the rest of the state. Currently there are 56 pharmacists per 100,000 people in El Paso County while the state average is 87 pharmacists per 100,000 people. Additionally her research discovered that the UTEP Pharmacy Program made the largest contribution toward alleviating the long standing shortage of pharmacists in El Paso, among any other pharmacy school in Texas, however the need for pharmacists is still great. Since its establishment, the Program has produced over 20% of pharmacists with an active TSBP license in El Paso County. In great news, the new UTEP School of Pharmacy will bring in its first cohort during the 2017 fall semester. 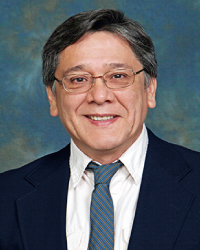 Dr. José O. Rivera was named founding Dean of the UTEP School of Pharmacy and will help lead the transition from the current UTEP Cooperative Pharmacy Program to a fully accredited UTEP School of Pharmacy which will be able to serve larger cohorts.